CDAC is stand for “Centre for Development of Advanced Computing. This department is a Scientific Society of the Ministry of Electronics & IT under Government of India. C-DAC organization has today developed as a leading R&D association in ICT&E (Information, Communications Technologies and Electronics) in the country. CDAC is working on consolidation national technical abilities in the context of global growths in the field and responding to modification in the market need in selected foundation areas. CDAC recruitment department has issued an official notification on their website in which they are inviting all fresher candidates to apply for Project Officer and Project Manager posts. 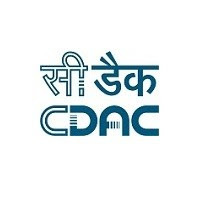 There are total 76 vacancies which are going to be filled up through this CDAC Recruitment process 2019. Check out the complete job posting carefully before applying online for one of these posts. Pay Band: Rs.64,000 Per Month. B.E/B. Tech./MCA with minimum 60% marks in relevant discipline or Post Graduation Degree in relevant domain. Those who have completed their B.E/B. Tech./MCA in relevant discipline can apply for these Posts. You have to pay the application fee through ONLINE mode only. 11 Feb. 2019 is the Start Date to apply.